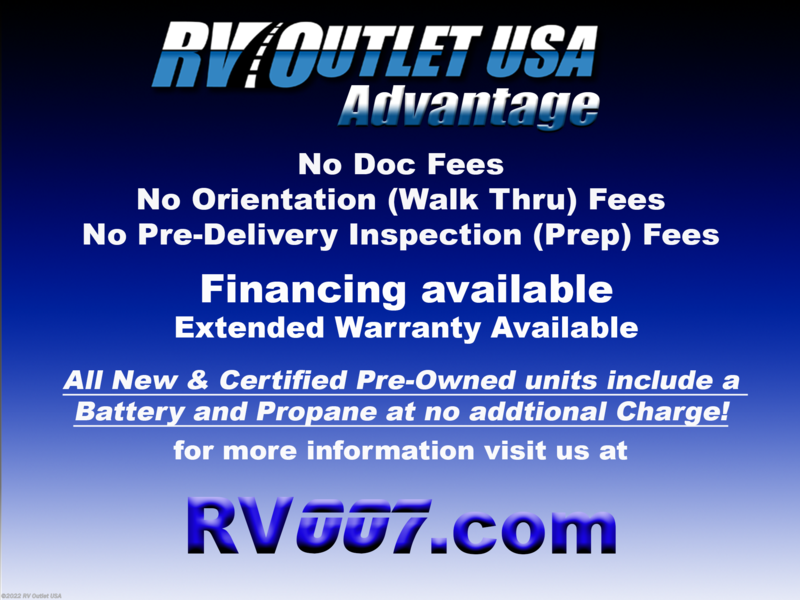 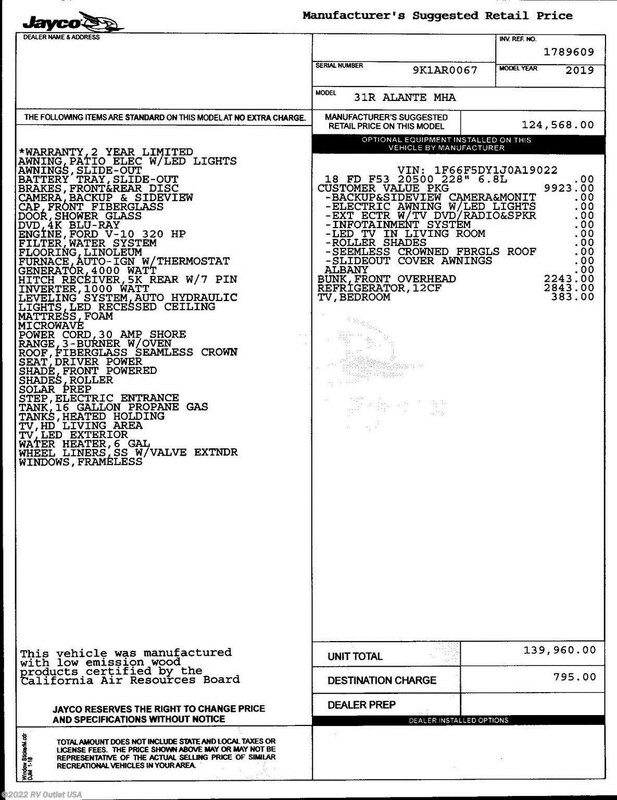 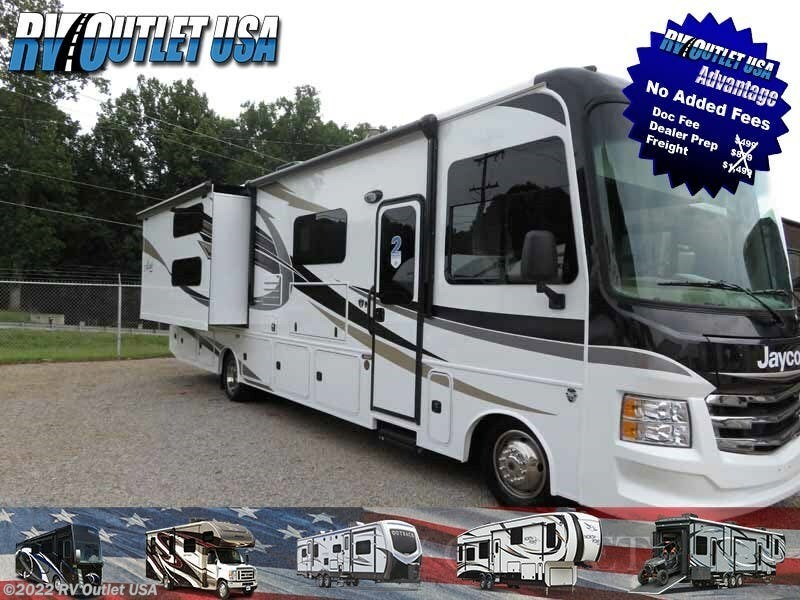 2019 JAYCO ALANTE 31R BUNK HOUSE CLASS-A MOTOR HOME! 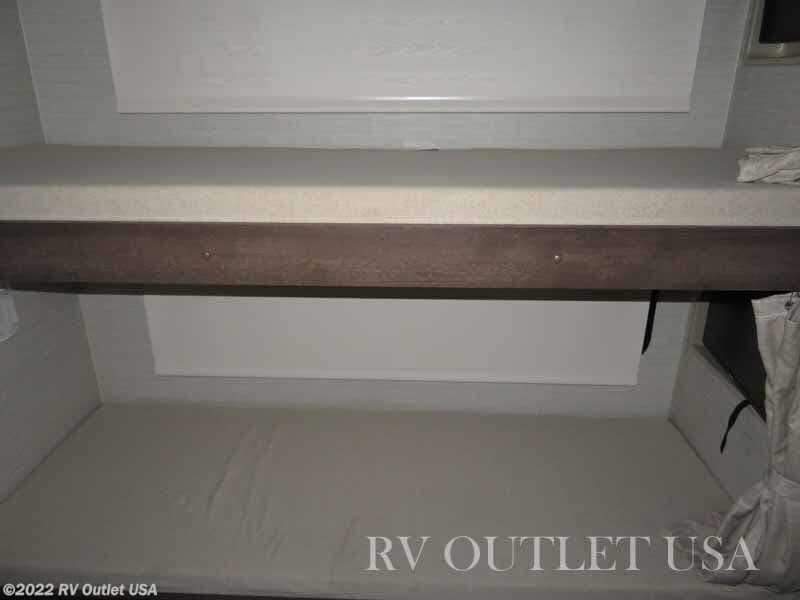 AUTO LEVELING SYSTEM ** BUNK TV'S ** MASTER BEDROOM TV! 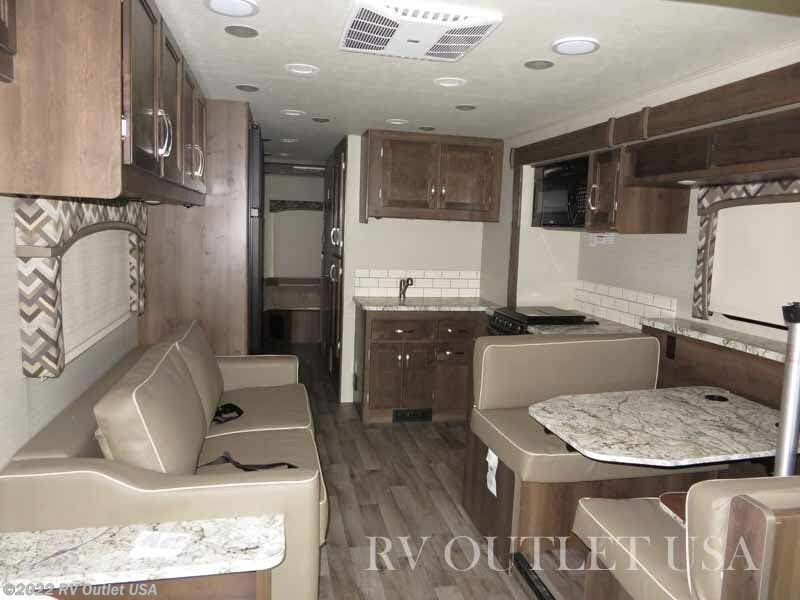 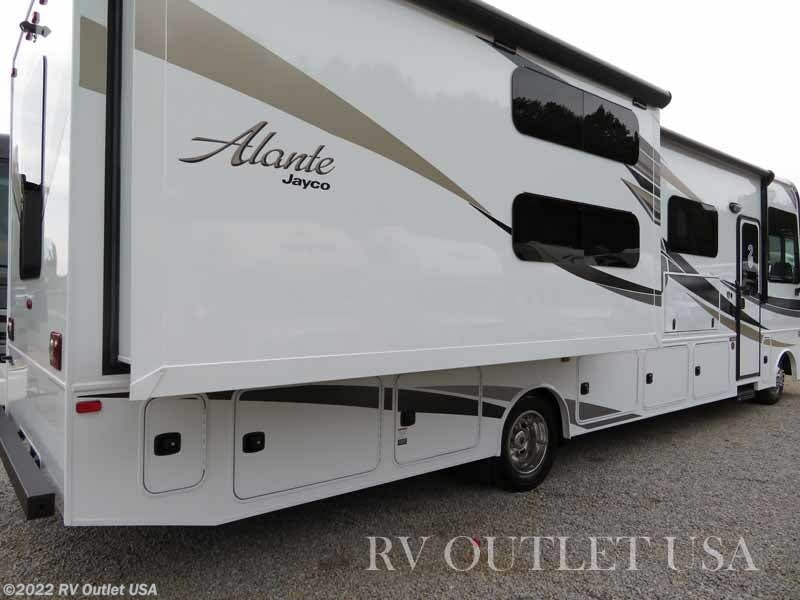 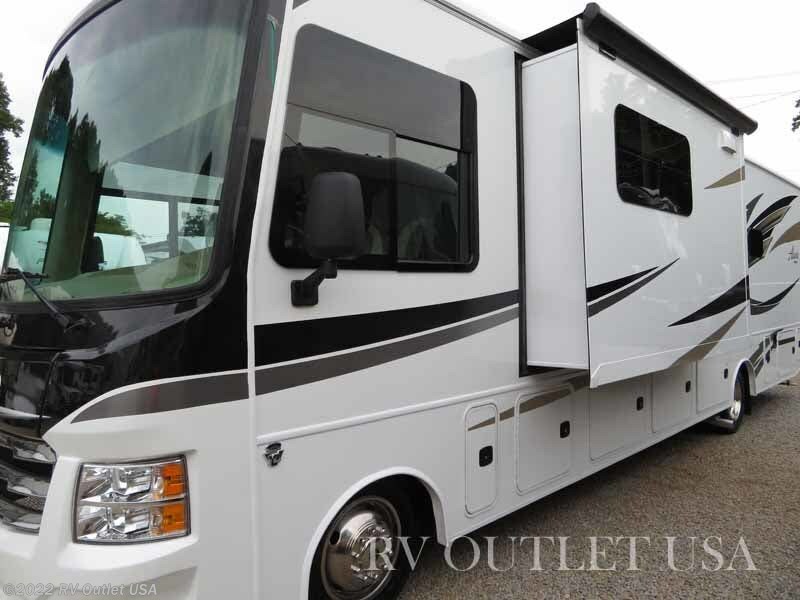 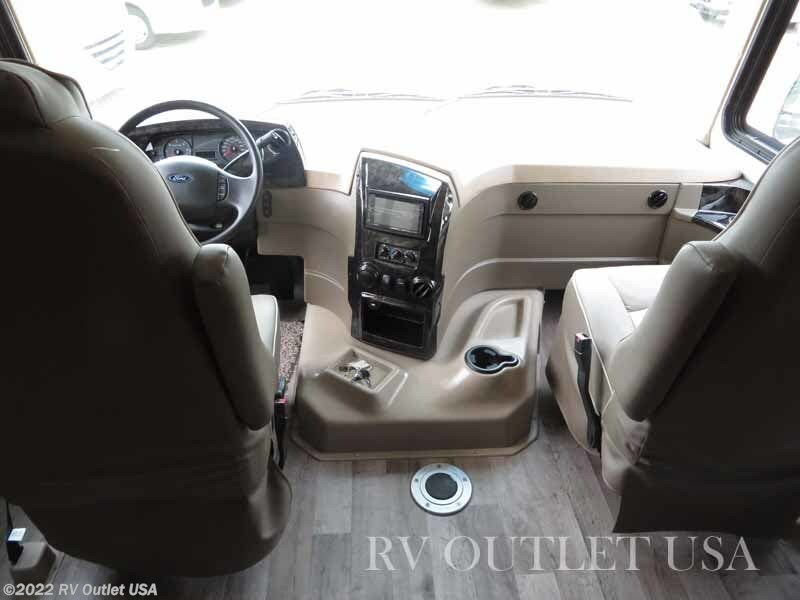 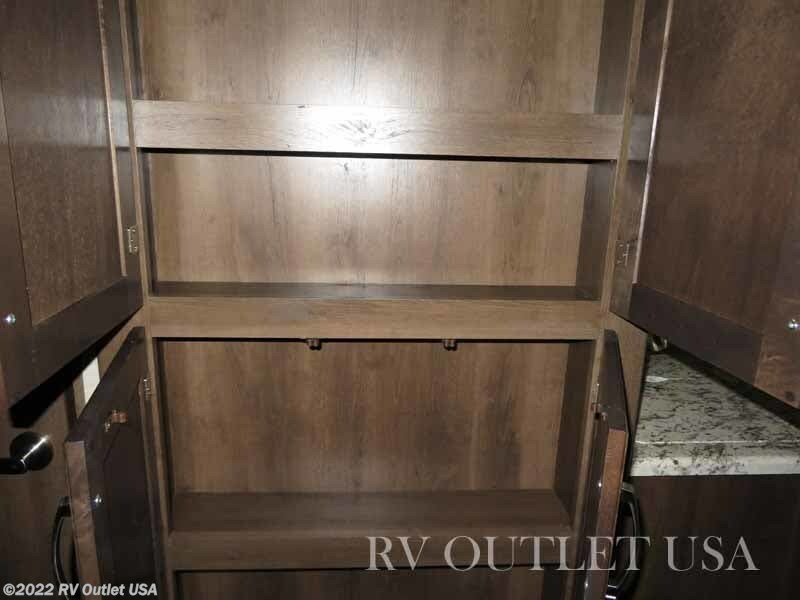 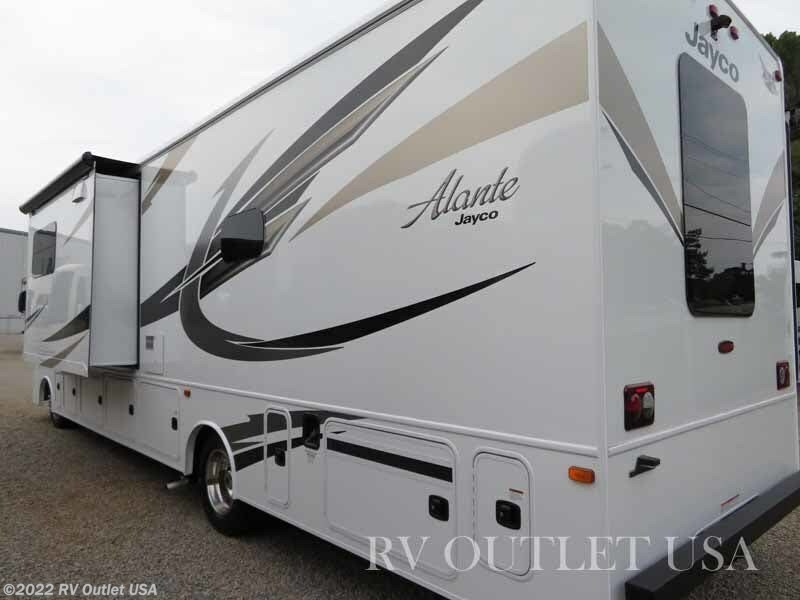 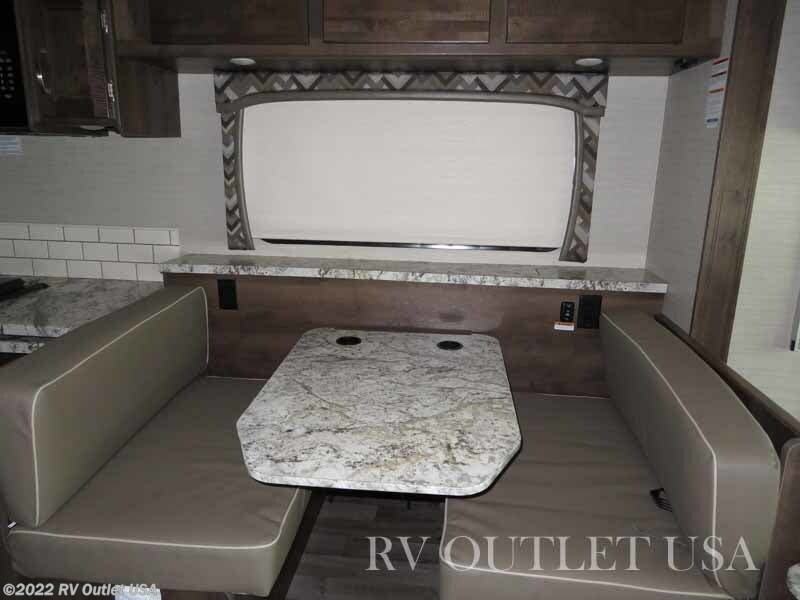 If you're in the market for a super nice class a motor home that has bunk beds, will sleep up to 10 people, easy to drive, and very affordable, then you need to walk in this brand-new 2019 Jayco Alante 31R that just came in. 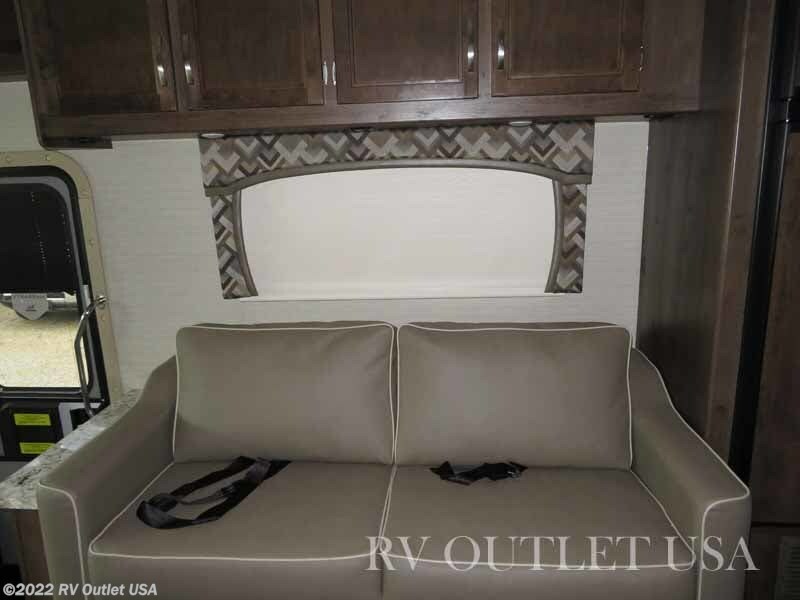 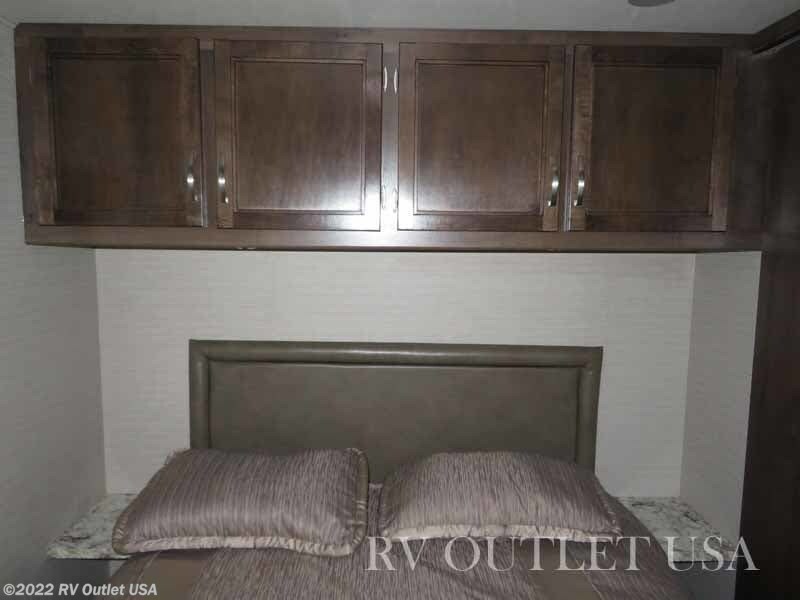 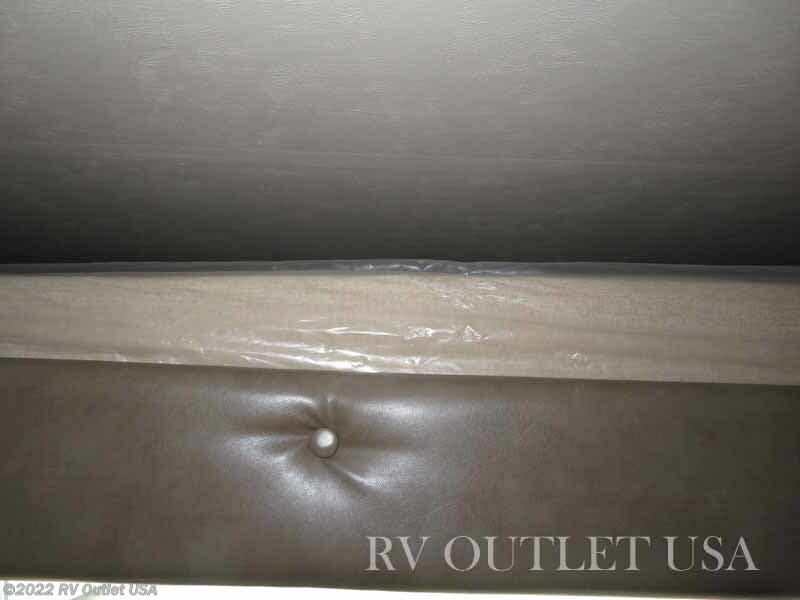 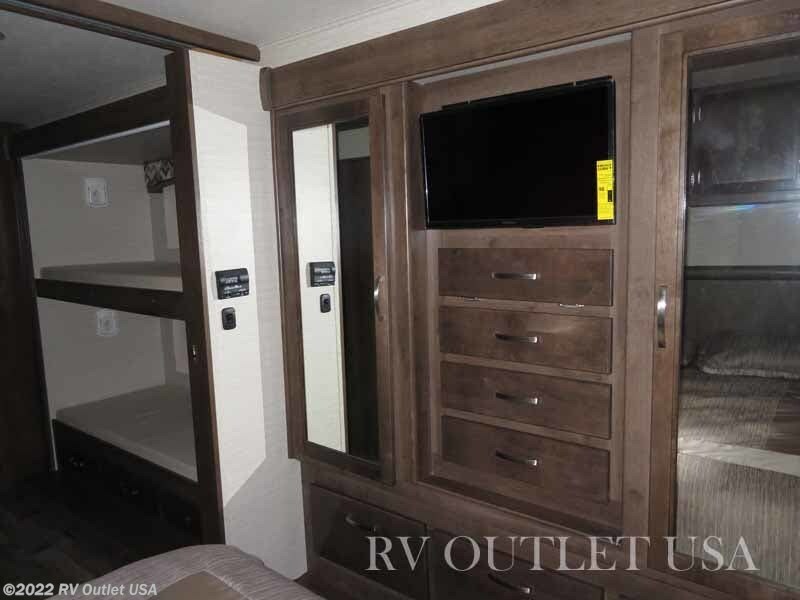 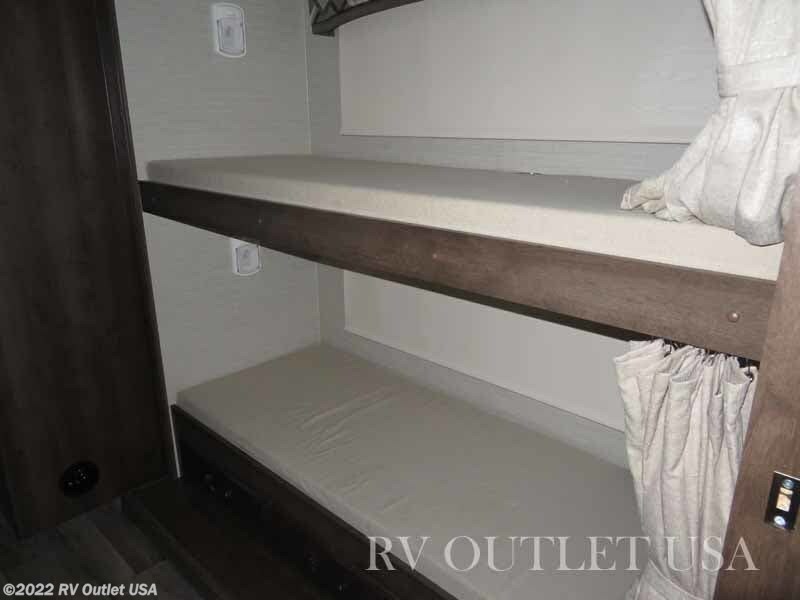 This coach is 34' long, it's on a Ford F-53 chassis with the 320HP Triton engine and has some really nice features such as, the easy access cockpit, (2) LED TVs in the bunk room, (2) slide outs, an outside entertainment center and so much more! 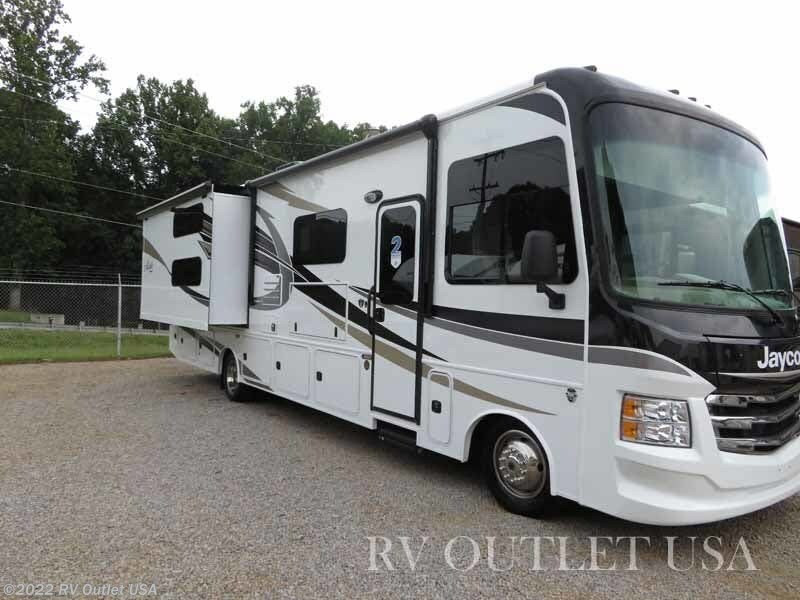 It's a really nice motor home! 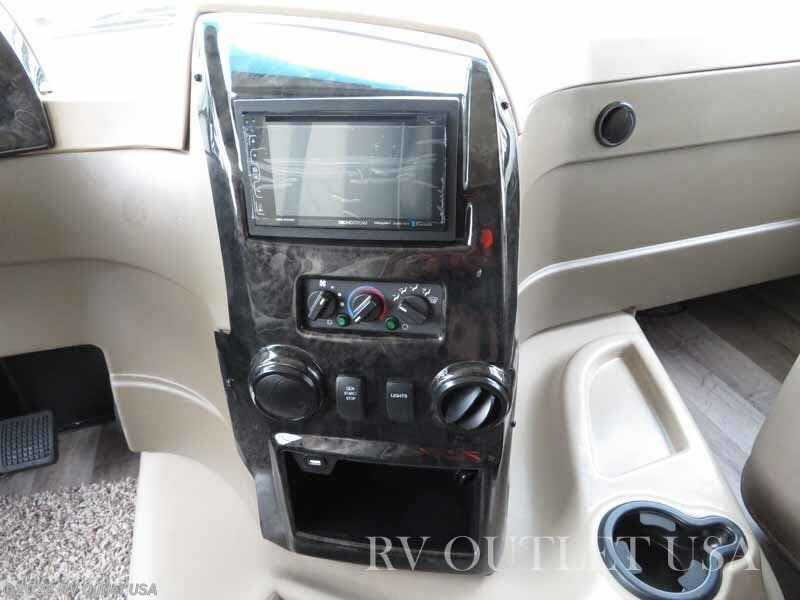 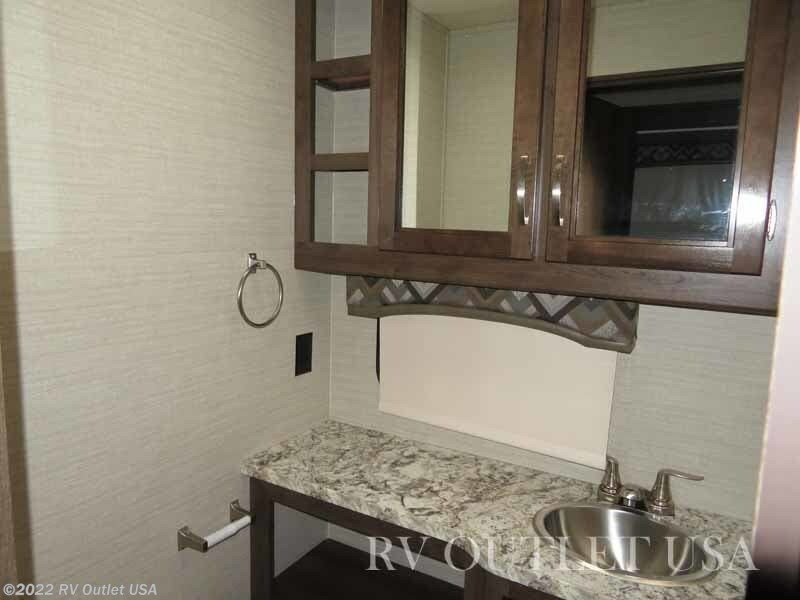 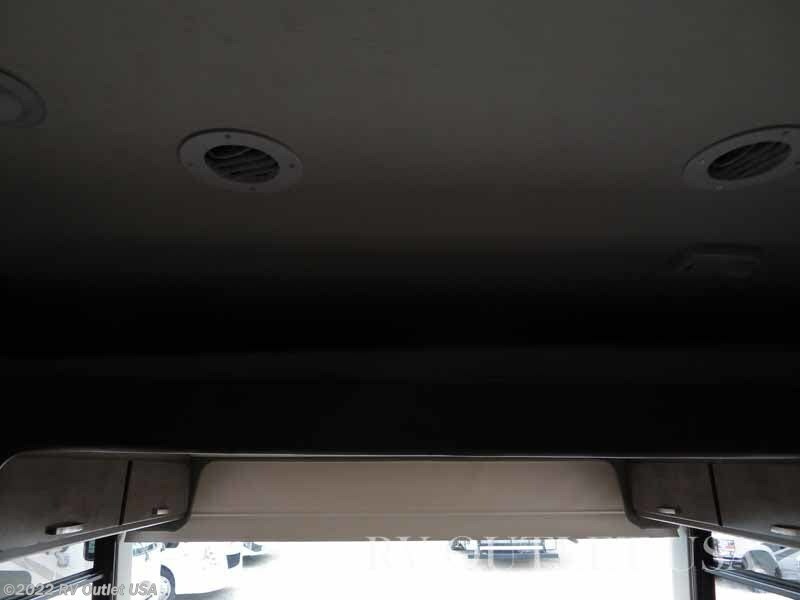 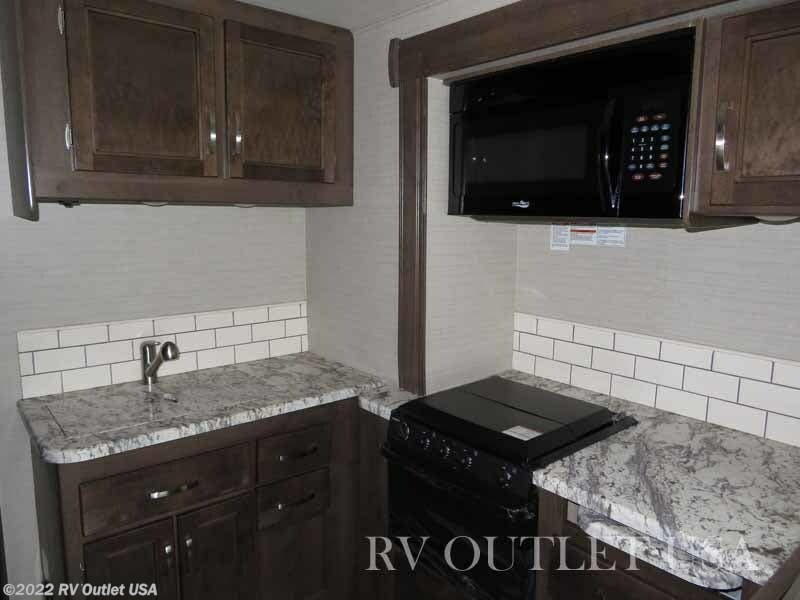 This 2019 Jayco Alante 31R has the easy access cockpit with full instrumentation, it has the auto leveling system, and a backup camera. 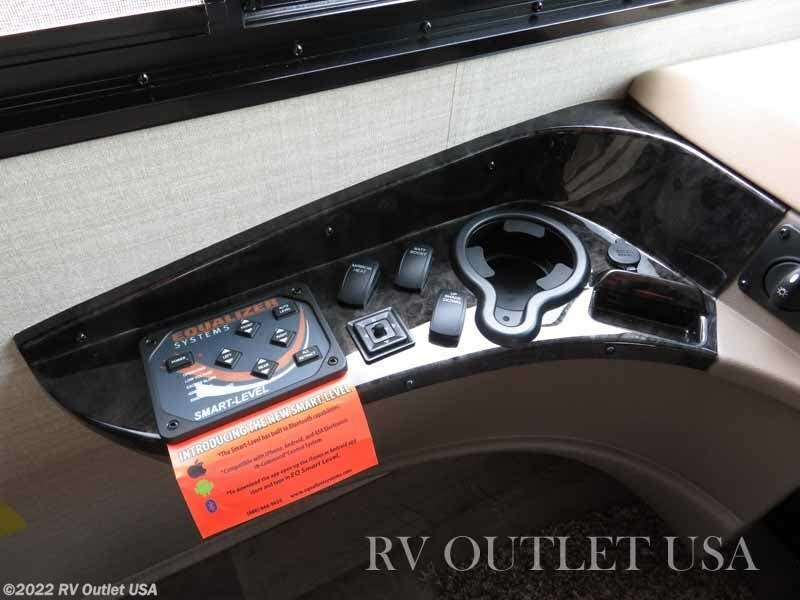 As you walk in the door, you'll find a slide out on the off door side and towards the front has a large booth dinette and a 39" TV on a lift system. 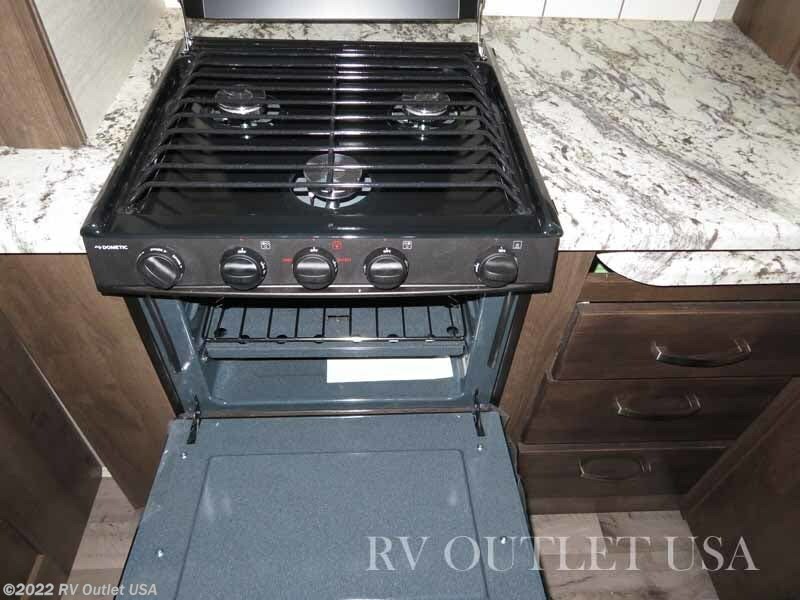 Towards the rear is the galley with a three burner stove top with an oven, a pullout counter top, overhead cabinetry and an over the range microwave oven. 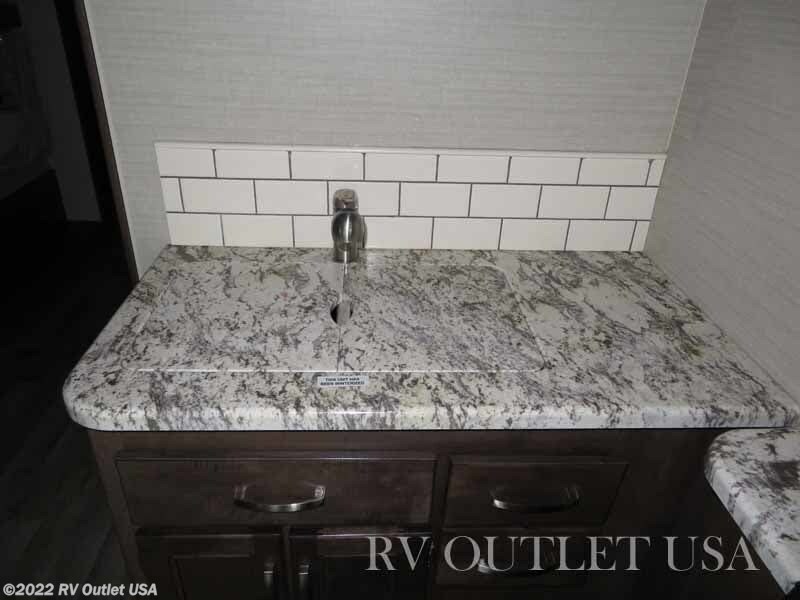 Beside that is more counter tops with a double stainless sink. 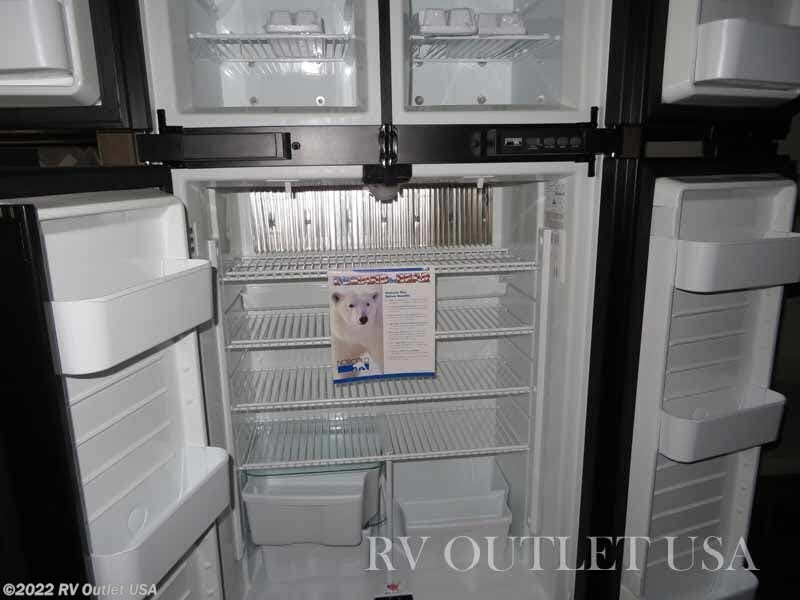 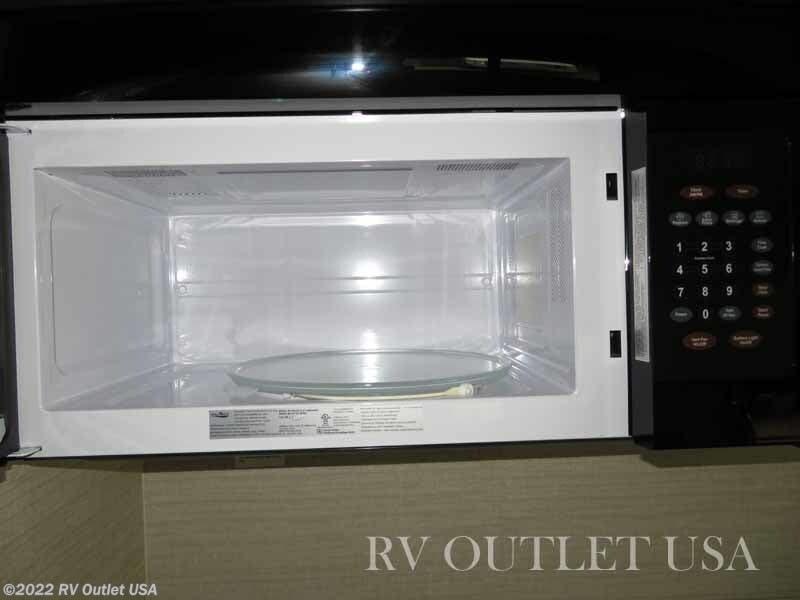 Across from the kitchen is the optional 12 cu ft refrigerator with a large pantry. 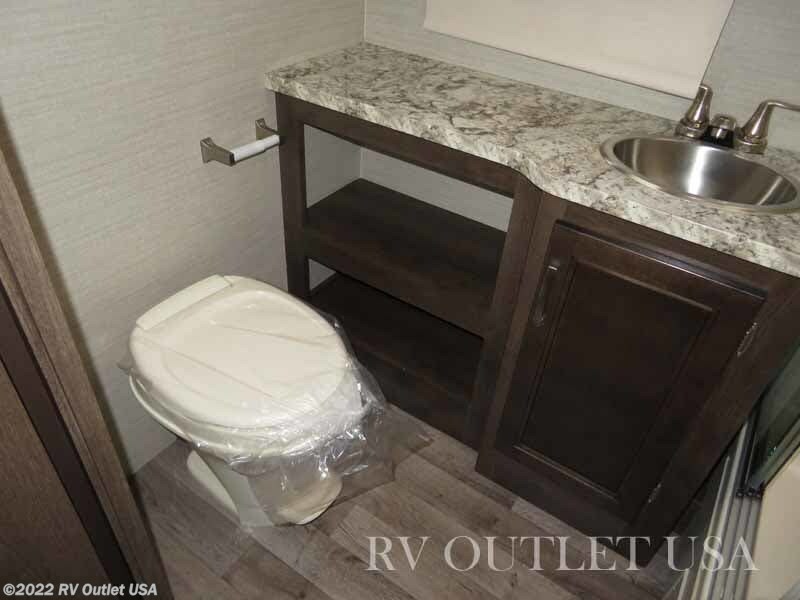 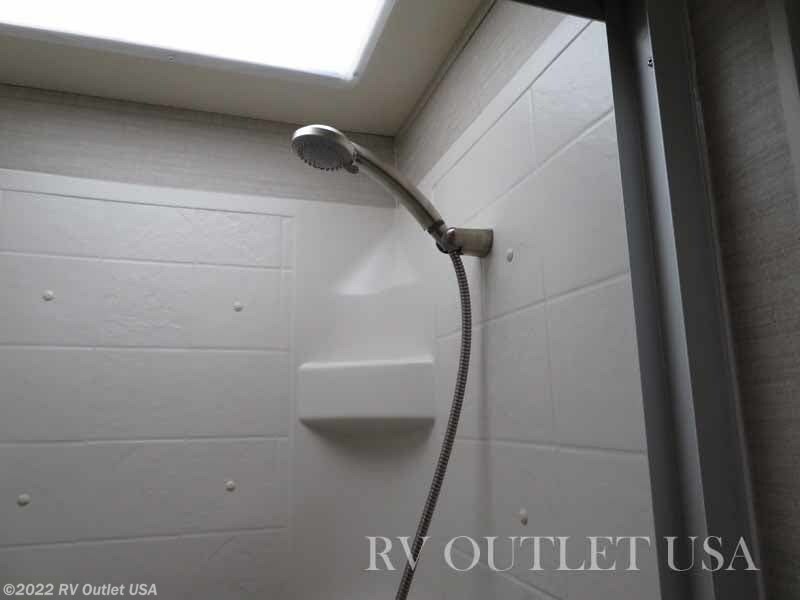 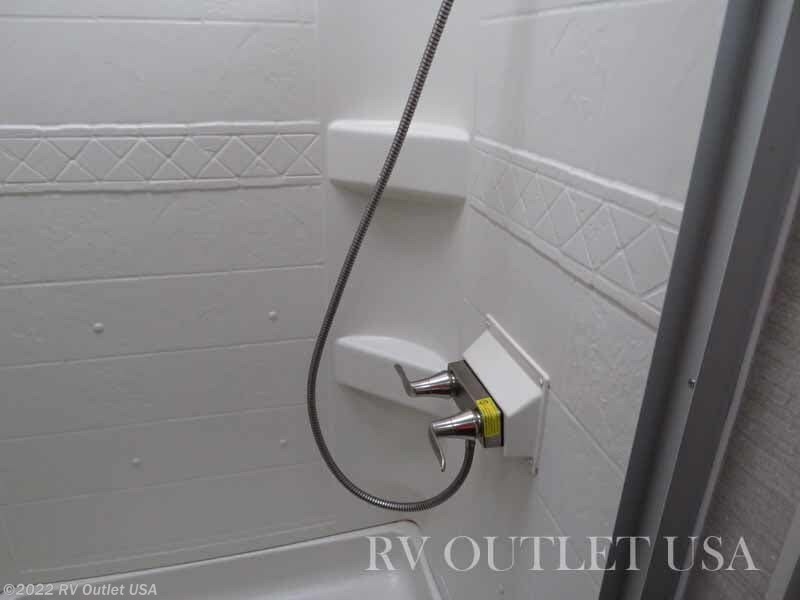 This coach does have a side aisle bathroom with a 30 x 36 shower, a sink with underneath storage, a medicine cabinet, and a foot flush toilet. 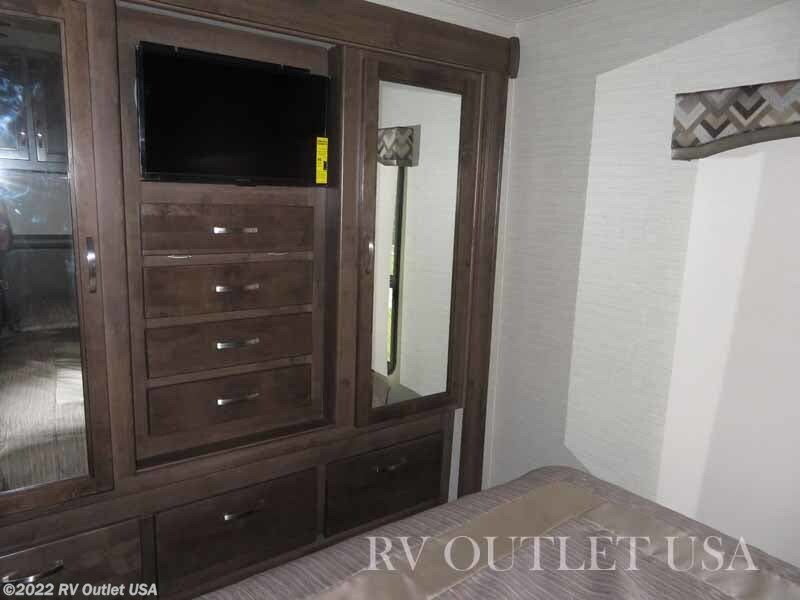 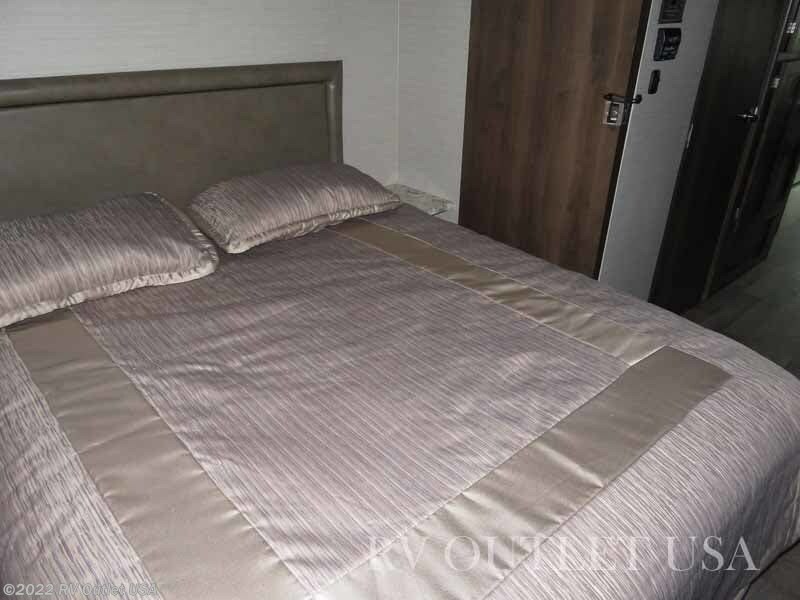 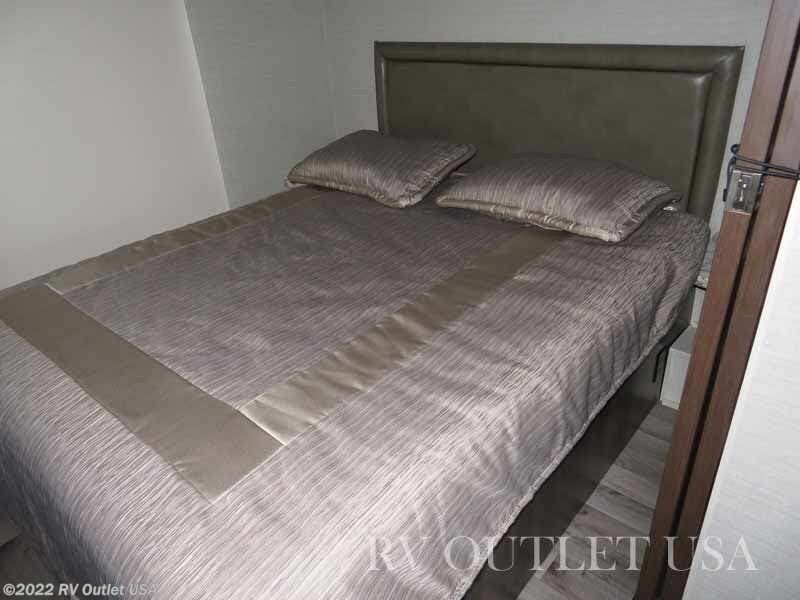 Across from the bathroom is another huge slide out with the (2) bunk beds which again have the LED TV's and towards the rear of that slide, a huge master bedroom dresser/wardrobe with the optional master bedroom TV!